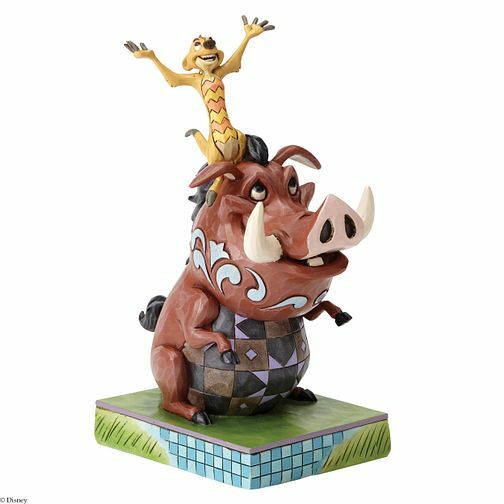 Timon and Pumbaa are a pair of "Carefree Cohorts" in this uplifting scene from the Disney classic The Lion King. Beautifully handcrafted, this delightful design features the rich colour and whimsical folk art style that are unmistakably Jim Shore. The figurine is made from resin. Packed in a branded gift box. Unique variations should be expected as this product is hand painted. Not a toy or children's product. Intended for adults only.